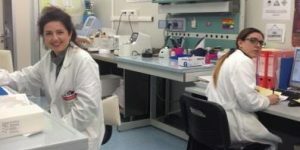 Across the world a growing number of researchers, clinicians and therapists are interested in better understanding A-T and developing new and improved treatments. 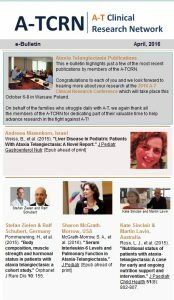 The A-T Clinical Research Network is a simple way for this group to keep in touch with the latest news on A-T research, funding calls, conferences, papers and so on. Run jointly by the A-T Society and the A-T Children’s Project, the Network sends out a short email bulletin every two to three months. It’s as simple as that. 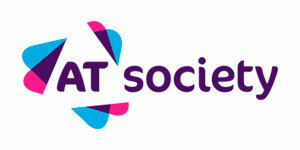 To stay up to date with what’s happening in the world of A-T, email research@atsociety.org.uk, asking to join and providing us with your name, the name of your institution and your role. If you have any other questions, you can send them to the same address.